The Two Witnesses in the book of Revelation chapter eleven, are without a doubt in my mind, represented in some way by the (living) children of Jacob. Old Testament history repeatedly declares the significance of these ancient people. The New Testament gives this original verity even further credibility. Therefore, the two Witnesses would be in some way or fashion, representatives of the Northern Kingdom of Israel i.e. Ephraim & Manasseh as One Witness and the Southern Kingdom of Judah, i.e. Judah & Benjamin as the Second Witness. Both groups are represented by the Two Witnesses, albeit with one mission, one purpose and with ONE voice - that of the Creator’s. Their mission is instructed, sent and propelled into action by the God of Jacob. 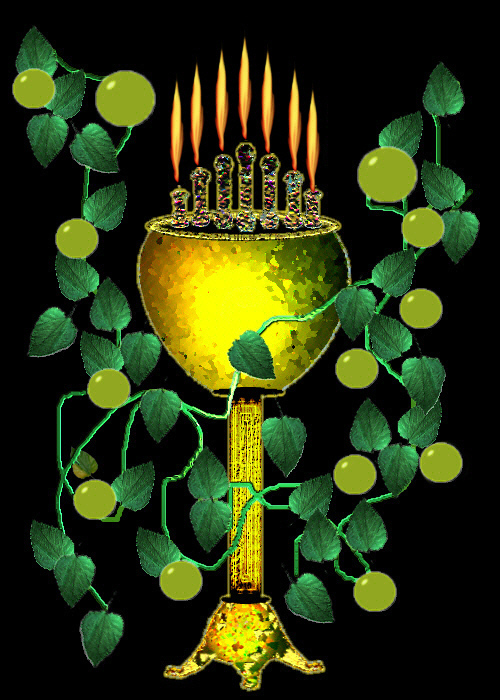 It is the Israelite people who represent the historical olive trees and lampstands. This has always been the case throughout biblical writings and of that fact we must not change. Lampstands represent LIGHT no matter how you explore or analyze a lamp stand. Metaphorically speaking, ‘light’ not only symbolizes, but represents enlightenment, i.e. truth, knowledge, wisdom and all things good and upright in the eyes of the Creator’s natural laws. While in a state of darkness there is no light revealed, no wisdom displayed and no truth honored. The lack of light turns a society upside down into darkness, whereas evilness becomes what is most desired by the masses. A darkened society will hate the ‘light’ bearers and will utterly want them dead and their existence wiped from their world. The darker that society becomes the further away from purity and righteousness the people become. Nothing but lawlessness, cheating, lying, corruption and filth abide because there is no light. The world would become so darkened that ordinary truth bearers would lack the power to make a difference. This is when the two Witnesses would be desperately needed and thereby called into action to shine a light for those who hate the darkness. Light from the lamp-stands will shine on what was meant to be true, good, wise, righteous and pure. They would protest against the evil and corrupt ways of the darkened society. However, the masses hate the light/truth prophesied by the Lampstands and Olive Trees and they angrily wish to kill and expunge them from the earth. The two Olive Trees represent the OIL, which many of the descendants of Jacob possess. The oil symbolizes the blood as in the continuous bloodline from Jacob. This is one reason why ‘the blood’ was mentioned numerous times throughout the entire bible. The Olive Trees tell us WHO, the Lampstands tell us WHAT. On both account, the masses hate what the Two Witnesses stand for and what they represent. The identity of the Two Witnesses as being Israelite is not to say that the Christian people aren't represented, as most of the descendants of Jacob will be found living among western society or, as I like to think, ‘hidden in the wilderness’, which is the church. They abide in a lost position as they do not have any remembrance of who they were or are. Most have forgotten their ancient beginnings. This was an intentional act instituted by the Creator for the safety and protection of the Israelite people. If the world knew their true identity, the world would seek them out and kill them most assuredly. Many people with eyes to see and ears to hear know the identity of the ‘lost tribes of Israel’ and I will leave it at that for now. Just as Moses’ mother hid in plain sight, her precious son; the Creator hid these special people who carried the special oil/blood line - in plain site. Take a look at British, Scottish, Irish Coat of Arms sometime and see the symbolism - the originators knew who they were. Look at all the old biblical names amongst these same peoples. At an appointed time these two entities will be given the mission - that of the Two Witnesses. Both the Northern and Southern tribal peoples of Jacob are the Lampstands, and both groups are the Olive Trees. Who the actual two witnesses from these groups are is yet to be seen, but they will be from these very peoples. They will, without a doubt, need a strong and courageous leader. The light-bearers will know they have been called for the journey when the time comes, and by vision and understanding they instinctively see through the darkness and in unison they walk toward the light. When I speak of the ‘church’, it does not imply the religion or tradition itself; rather it is the people who abide under the umbrella of Christendom. This does not infer any magnitude of importance to the actual institution founded by Rome. It is the Israelite people who remain sheltered under the banner of ‘Christianity’ that would represent Jacob’s bloodline. Not all Christians are from Jacob’s bloodline and not all Israelites are worthy to be considered as a Lampstand or Olive Tree. These Two Witnesses bear witness of truth and light through the blood, the Spirit, and the Water, i.e. Prayers. (Water flows downward in the form of blessings and forgiveness; prayers flow upward in communication with the Creator). These witnesses need not be connected with any religion. The Two Witnesses could very well fool you - perhaps the most unlikely of all possibilities, but they will, without a doubt in my mind, be from the two groups mentioned and they will be protected, guided and be given power that comes only from the Creator.